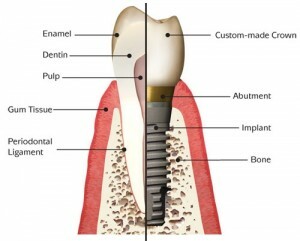 Thinking of getting dental implants in Greensboro, NC? 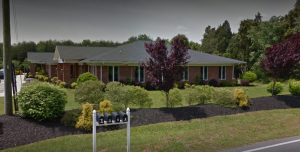 The following guide lists the top 10 dental clinics as well as what you can expect to pay for a dental implant in Greensboro. Click on the profile of a dentist near you to read more about them. We are a full-service general family dental practice in High Point, NC providing all aspects of dentistry including routine and preventive care, extractions, root canals, crowns, bridges, implants, and cosmetic dentistry. Each dentist practices the latest procedures that minimize pain and expedite healing. Our experienced staff and highly trained dentists make it their personal mission to deliver top-notch dental care in a gentle manner. We go over all treatment options with you and can show you real results from satisfied patients. Our office is mercury free. All fillings are done with composite materials unless a patient specifically requests an alternative. We use the latest digital imaging technology and techniques to place and restore dental implants, fill cavities, restore cracked teeth, whiten teeth, correct gaps and overcrowding, and more. Dr. Weston brings 14 years of clinical experience, as well as completing a one year Advanced Education in General Dentistry residency in the US Navy. The intensive program afforded him hands-on experience in a broad range of dental procedures. Rest easy and be assured your needs are being taken care of by Dr. Joseph Miller at the oral surgery center. He is Board Certified and has over 25 years of Experience. He specializes in Dental Implants, Oral Surgery and Maxillofacial Surgery. Our office extends a friendly welcome to all new patients. We are conveniently located in The Lake Jeanette Office Park. Affiliations: American Board of Oral and Maxillofacial Surgery, North Carolina State Board of Dental Examiners, North Carolina Dental Society, Southeastern Society of Oral and Maxillofacial Surgeons. Drs Scott R. Rehm, DDS, & Robert J. Riggs Jr., DDS, MD, & Their Team, Are Greensboro’s Premier Oral, Implant, & Facial Cosmetic Surgery Center. They Perform Many Dental & Cosmetic Procedures Including: Dental Implants, Bone/Gum Grafting, Wisdom Teeth, Impacted Canines, Orthodontic Anchors, Jaw Surgery, Oral Pathology, Pediatric Patients, & Facial Trauma. State Of The Art Facility With A Certified Lab, Even Offering 3D Imaging. Visit Their Web Site To See Their Wide Range Of Cosmetic Procedures Too! At the Kraska Center for Cosmetic and General Dentistry, we believe a healthy, inviting smile is an important facet of everyday life. We offer a variety of procedures to restore a bright white smile as well as general dentistry services.